There is so much hype in the media about marine life conservation, ocean protection, ecotourism, climate change, global warming and so forth – all these come in tons of information that people I observed got so feed up, they hardly appreciated it. I would say, the deluge of information was beyond what is necessary. We all need to do something out there in the field, more than just the blabber. We need to ACT not later, not tomorrow but now and everyday. It must be our lifestyle. We can hardly describe what the oceans are like in the olden times, but personally I would assume that it has been so rich in marine life and was a great source for food. It’s biblical, Jesus and his disciples dwelt near the sea and their provisions include fish, some of his disciples were fishers themselves. It has been rich, but now it dwindled so much that many of specie are nearing its extinction. Scientists estimate that we have lost around 90% of the ocean’s larger specie already. There is so much destruction what humans wrought on our ocean’s ecosystems, more than just for food but to satisfy greedy commercialism. 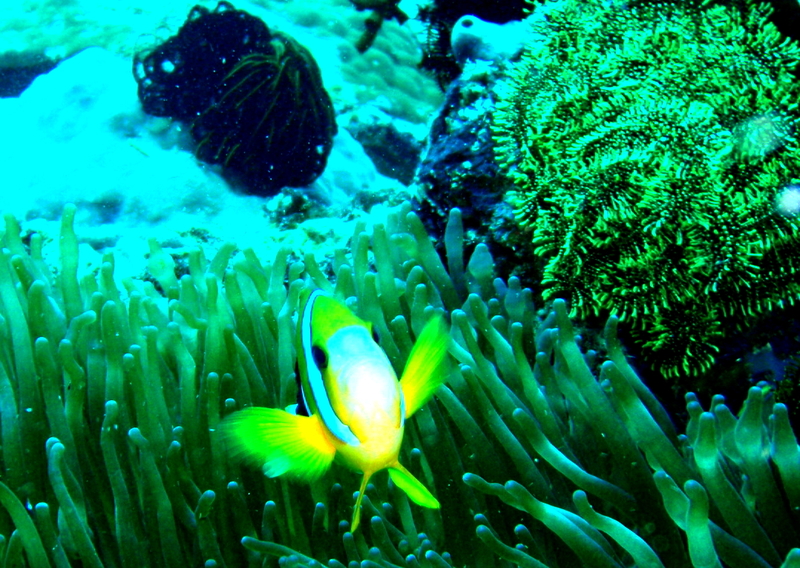 Our reefs are in trouble which is particularly vulnerable to human impact. Overfishing and destructive fishing is damaging the sustainability of this resource. There are many threats that confronted our coasts today: coastal development, tourist infrastructures, industrial run-offs and sedimentation. 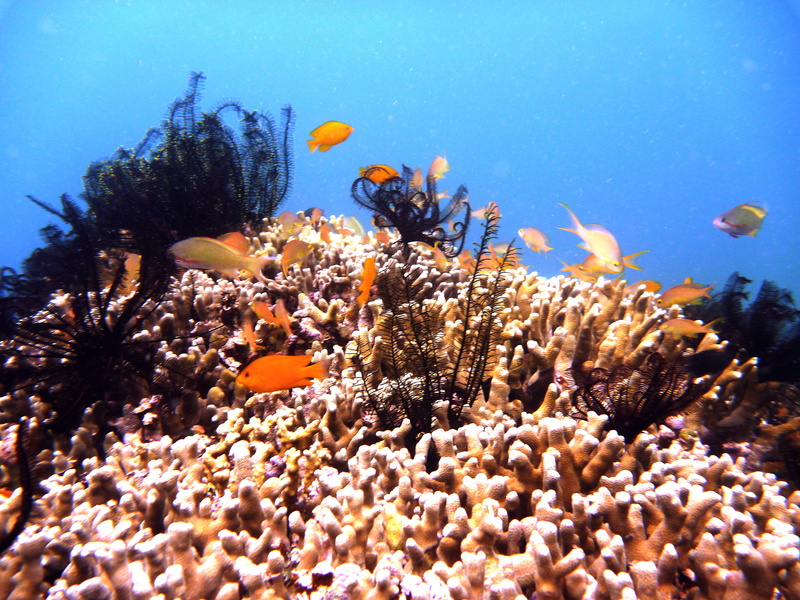 Global warming causing rise of temperature in sea waters destroying our corals and expected is to spread largely. Indeed manmade disturbances multiplied so much the ecosystem could hardly cope up when coupled with weather disasters, diseases and predators. The bottom line is – our oceans are in trouble. Like any diver, the problem is very real and the need to do something is imperative. There can be no diver who can not be touched by the underwater world’s beauty, over and over again I am amazed of the exquisiteness of the life beyond the depths. How can one afford to destroy this fragile world or reflect to do something to protect and preserve it. Divers without doubt had a special role to play in relaying the message that the oceans are in trouble. Divers are ambassadors for the oceans. I came up with a list of some of the basic things that I can do for our oceans that need to be saved, a lifestyle that must be adopted. I felt I owe a debt of gratitude to the liquid world. a) Beginning at home or office, trash will always be where it belongs in segregation. Kids shall be taught early about waste disposal right at home before they could even go to school. Our niece Lian is responding positively and now getting conscious. b) Be an ecotourist, I am as guilty as anybody in taking advantage of cheap flights. Now, I learned that air travel is the only form of transport that pays no taxes or duties on fuel it consumes. Tons of CO2 is emitted on every flights which is great for air pollution. Now, I’ll be limiting air travels and if I did, I’ll donate to WWF for this purpose. c) Every dive will be a clean-up activity. d) Conserve water and power – not only in the kitchen but also in the bath. e) Supporting marine protection and preservation programs – I am fortunate to be part of a project in my office where I had hands-on on many forms of preservation activities. I have spent time with coastal communities supporting for MPAs. f) Grow trees not just plant them. I need to go back with my tree planting in the farm. g) Perfecting my buoyancy skills and be sensitive every dive, I am not wearing gloves to resist the temptation to touch underwater. h) Patronize fair trade products as these are all produce environmentally friendly. i) Be selective with dive operators that adopt policies and practices that support marine life protection – I am most likely to have a DM who’s emphatic on diving responsibly. j) The plastic can not be totally eradicated as of now, but getting conscious is the key. I have been recycling the bags I use for my dripping gears when I travel – for over two years now. Whenever I eat out, I take meals in diners that don’t use plastics or styros. If my purchase don’t need packaging, I politely declined the plastic bags from the counter. Everything that we do everyday have powerful ripple effects for our planet. It is not surprising to note that what we do in the surface has undeniable correlation in the water world. If each one will get our acts together, it can have a great impact in arresting the issue. I pray that the next generation will experience the joy of discovery and experience the endless beauty of the underwater world. There’s no reason why we should deprive them of all the marvelous creation we enjoyed so much. Most importantly, we are all stewards of this grand creation entrusted to us, accordingly we have the obligation to protect and care for the last planet that we have. The Creator is watching us. 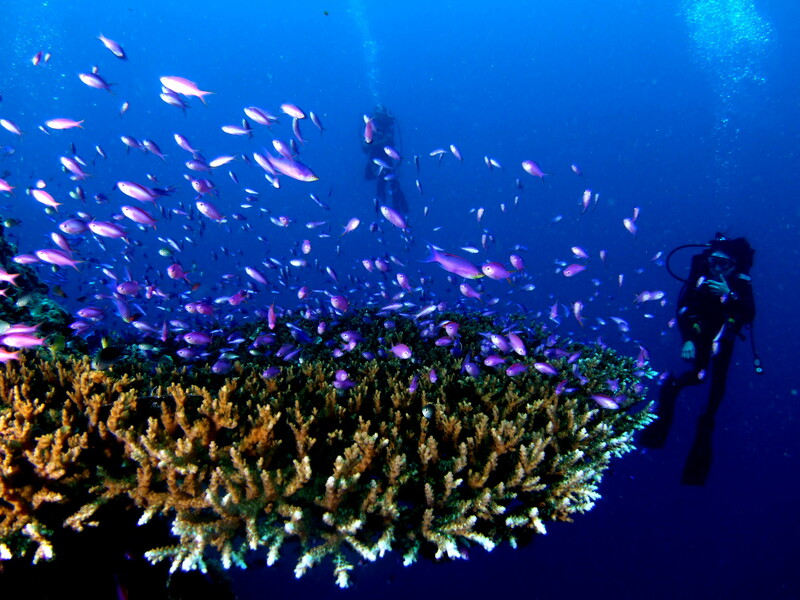 ← Celebrate the First Coral Triangle Day!